Galveston Island? Yes it is an Island! Galveston Island? I was surprised several times in the past. It occurred when people asked me; is Galveston an Island? Then I understood. I heard hurricane reports concerning the island. I realized why people could misunderstand things about it. I guess when it comes to a hurricane, I see why. They are big! And affect a very big area! But they make the Galveston sound like it’s all the same thing. Now that does not seem right. This is one very cool place! For anyone who’s never been to this enchanting island. Let me clarify a few items. The Island is a subtropical barrier island that parallels the Texas coast. It is about 27 miles long, and three miles wide at its widest point. It is about a forty five minute ride from Houston. 1. Galveston County - is a county South East of Houston Texas. 2.The City of Galveston - is located on Galveston Island. 3. 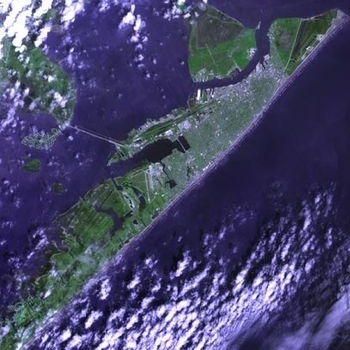 The island and city - are in Galveston County. It is made up of sand, and other fine particulate matter. It does not have a substrata of rock to anchor it. This island is part of a barrier island chain. This chain extends from the Texas coast, along the Gulf Coast States, and the peninsula of Florida. It then tracks north along the US, east coast to the state of Maine. As a barrier island it openly faces the Gulf of Mexico. For this reason it is extremely vulnerable to high winds, heavy wave action, and storm surge that accompany hurricanes. Prior to the Great Storm, the Island was essentially a large unprotected sand bar. Its highest elevation was about nine feet above sea level. And other places on the island were much lower. The Island is thought to be 10,000 to 18,000 years old. It was presumably created by the melting global ice sheets at the end of the last ice age. Leave Galveston Island and return to Galveston Travel and Charm Homepage.